Ghosn: Emmanuel Macron's belief “in the global market” is "good news for all companies." PARIS — Carlos Ghosn has won praise for his deft handling of the often unwieldy Renault-Nissan alliance, thrusting it into the world's top three automakers by volume. In France, however, he has clashed with the government over its minority ownership of Renault, his compensation and other issues, raising the question of how much longer he will continue as CEO of Renault, a post he has held since 2005. In the most recent flare-up, the French government joined other shareholders opposing Ghosn's compensation ahead of the June shareholders' meeting. The pay proposal passed narrowly. The election this spring of President Emmanuel Macron would seem to add to the pressure on Ghosn. As economic minister under former President Francois Hollande, Macron criticized Ghosn's pay and engineered an increase in the government's stake to 19.7 percent (with double voting rights). But the relationship between the two seems to be improving, analysts said, citing Macron's promises to improve the competitiveness of French industry and Ghosn's praise for the new president's efforts to strengthen the European Union. There have been no credible reports that Ghosn, 63, is considering stepping down at Renault, but he is reportedly seeking a potential No. 2 executive for the alliance. Earlier this year, Ghosn handed the reins of Nissan to his co-CEO Hiroto Saikawa, though he retained his title of chairman. He also holds that post at Renault, at the alliance's newest member Mitsubishi, and at Renault-Nissan BV. Renault has rarely been healthier. The company said it sold a record 1.88 million vehicles through the first half of this year, a 10.4 percent increase year over year. All the group's brands — Renault, low-cost Dacia, Russia's Lada and Renault Samsung in South Korea — posted increases in volume and market share. Renault is now the No. 2 brand in Europe behind Volkswagen, and well-positioned for a boom in electric vehicles. The Renault-Nissan alliance came together in 1999 when Ghosn was sent by Louis Schweitzer, CEO of Renault at the time, to Japan to revive Nissan. Renault owns 43 percent of Nissan; Nissan, now a larger company than Renault, owns 15 percent of Renault, but has no voting rights. "Ghosn has been exceptionally diplomatic in dealing with the two sides of the business," said Ian Fletcher, principal analyst at IHS Automotive. "One is very much a French company and one is very much a Japanese company." Ghosn's current CEO term ends next June. That might seem a logical time for a succession to take place, but Ghosn has been granted a waiver from the company's mandatory retirement age of 65. Ghosn's presentation this fall of a new midterm strategic plan for Renault will be closely watched for signals a change is coming. "I think it would be taking a risk to remove Carlos Ghosn from Renault at the moment," said Isabelle Chaboud, a professor at the Grenoble Ecole de Management, a French business school. "They are doing well financially, they are paying dividends, they are employing lots of people, so why would they choose someone else?" Nonetheless, a number of unresolved issues haunt the relationship. Ghosn has said the French government's stake in Renault prevents closer financial ties with Nissan. "It would be very difficult to create a full merger because the Japanese government has not been keen for the French government to have any sort of direction over the way Nissan is working," Fletcher said. This month, Economic Minister Bruno Le Maire affirmed Macron's campaign promise to finance a 10 billion euro ($11.47 billion) "innovation fund" by reducing the government's stakes in certain companies, excluding critical industries such as defense, which would seem to open up a door to sell part of Renault. Renault stock, however, is trading around $95 a share, less than the $103.20 the government paid in 2015. Selling at a loss may be unattractive as Macron tries to lower France's heavy debt burden. The government has voted against approving Ghosn's pay package at Renault for the past two years. Last month, shareholders at the company's general meeting in Paris narrowly approved his 2016 salary and bonus total of $8.03 million by just 53 percent to 47 percent. At that same meeting, Ghosn was forced to defend himself against a report from Reuters that the alliance was considering a secret bonus pool for executives that would be serviced by a Dutch company. It would be funded by operational synergies among the alliance partners, which last year rose 16 percent to $5.73 billion, and are expected to reach $6.31 billion this year. 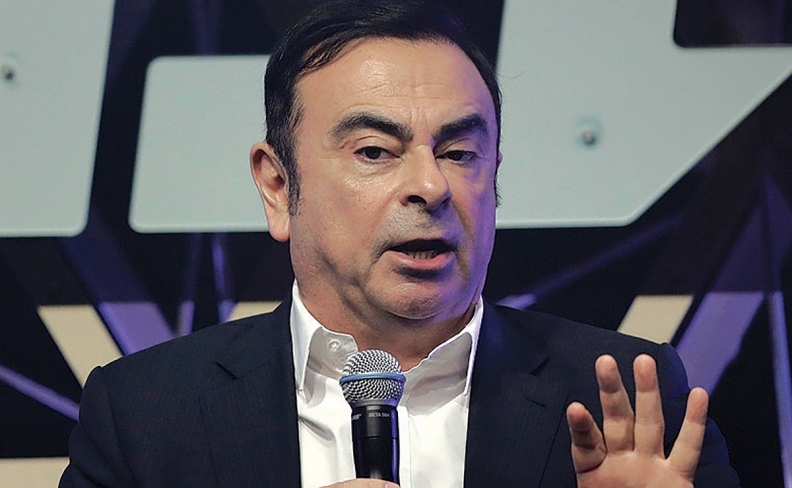 After a public outcry, Ghosn denied the alliance had agreed to the fund. Renault is also one of four automakers, along with VW, PSA and Fiat Chrysler, targeted by the French consumer watchdog agency as having unacceptably high real-world diesel emissions. A leaked report on Renault's case this spring suggested Ghosn bore responsibility and said Renault could face a fine of several billion euros. The company has not been charged with any wrongdoing, and Renault has said repeatedly its vehicles meet all applicable regulations. In the end, the relationship between Macron and Renault may be transactional at heart, analysts and experts said. Macron is under intense pressure to enact promised reforms to French work rules that would increase competitiveness, and Renault remains one of the crown jewels of French industry, with 125,000 employees, 46,000 in France. Ghosn himself has been conciliatory toward Macron, saying that it is "good news for all companies" that the new president "believes in the global market."